Beauty products. I have tried nearly all the "high end" brands of beauty products now and have yet to be really impressed. Obviously I have never tried anything mega expensive like Creme De La Mer but then who has? 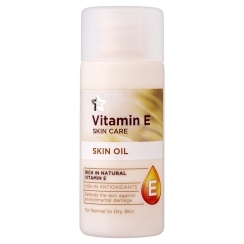 My latest beauty product of choice is Superdrug own brand vitamin E stuff. This is my fav one at £2.99. It goes well under make up for a smooth base. Shampoo. I have literally tried nearly every shampoo on the market to make my hair look big. There is no such shampoo, it is simply down to the way you blow dry it (that is where my Big Hair Styler has come up trumps!). I actually quite like Dove shampoo, yes it has a few nasties in it but don't they all. Don't bother with the expensive ones you get in the hairdressers, a waste of money. Summer clothes. I never buy expensive summer clothes as the material is so thin I don't see why I should pay top whack. I get all my summer stuff from H&M. Last year in the sale I bought 5 dresses for £29 including delivery and they were all lovely. Best to buy online, in store is a nightmare with a pushchair. Primark also does nice long "hippy" skirts and general summer wear. I bought a lovely cropped light denim jacket last summer for £14.99 and it goes with everything. Pyjamas. Get them in the supermarket - Sainsburys do some nice ones. The M&S ones always need ironing and are cheaply made anyway which is not reflected in the price! Kids clothes. Honestly it's going to get ruined anyway so way pay £££. I get most of mine in H&M and Sainsburys. Same quality as other places but much cheaper. Shoes. Now this might just be me as I have huge feet so cheap shoes do me no favours, plus they don't fit. I get everything from either Dune or Clarks as they are the only ones that fit me! Occasionally the shoes in Oasis will squeeze on my giant canoes. Likewise children's shoes. For ease we usually get Clarks for our son though I do like those continental shoe places occasionally too. Washing powder. I have tried the supermarket own brand stuff but it doesn't clean clothes properly and has a horrid smell. Buy Persil or Ariel. Underwear: Now most people swear by M&S but I think their undies are cheap and nasty and also uncomfortable. They soon start looking sorry for themselves. I really don't know where else to recommend though as places like Bravissimo which look quite good are only for those with a large bust. Someone please recommend somewhere please! Winter clothes. Buy knitwear from somewhere posh. If you look after it properly it will last longer thus be better for the environment and also more cost effective than buying cheap stuff every year. Isabella Oliver is nice and also Coast. M&S does some nice knitwear but check the label so that you are not inadvertantly buying cotton rather than wool. The cotton stuff does not last. Places like Hobbs, Jaegar and TM Lewin all do nice knitwear too. Coats. This is something you and your children will wear every day so it needs to last and it needs to keep you warm. I get son 1's coats in Gap and JoJo. Son 2 so far has had Jaspar Conran at Debenhams. It was actually less than £20 in the sale which I thought was reasonable. I wear things like North Face and Berghaus on a Sunday but got a nice one in Oasis for best which has feather and down in it. I bought a cheap one last year when I was pregnant. Never again. Haircuts. Develop a good relationship with your hairdresser and tip well. Go regularly to try to look as good as you can despite the tiredness! I sometimes go in the evenings after my husband gets home. 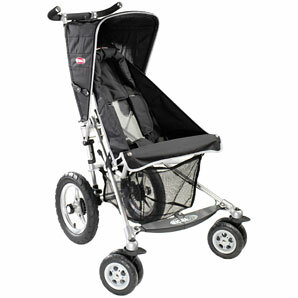 Pushchair! Very important. Do some research and obviously look in sales and for discontinued stock but don't buy one of those £30 ones in Argos. You will soon despise it. I favour Micralite and Phil&Teds. Make up. Though I favour skin care from Superdrug, I would never buy actual make up from there. I go through stages, sometimes I like Mac because of the nice shiny foundation, but sometimes I go for Clinique as it's nice and simple. More recently I've been wearing Bare Minerals but I do find it rather drying and aging though it does last all day and no-one ever says, "you look shattered", like they used to. Handbag/changing bag. Again, everything you will be using on a regular basis needs to last and be something you are proud of. I like Pink Lining Bags because they are really well made and look gorgeous plus the strap is well designed and doesn't dig in. Having said that plenty of people seem fine with the free Boots one you get when you join the parenting club. 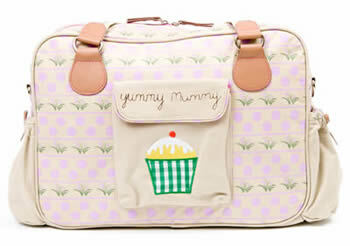 In terms of handbags I have quite a few Radley ones but sometimes I wonder if they are a tad naff. I've recently started looking at Suzy Smith ones which are also good quality. I can't bring myself to spend £500+ on one, I don't look after my stuff well enough for that. NB I've not put any links on this like I usually do. I am not paid or anything by any of these companies so don't see why I should, and also everyone knows how to use Google now! 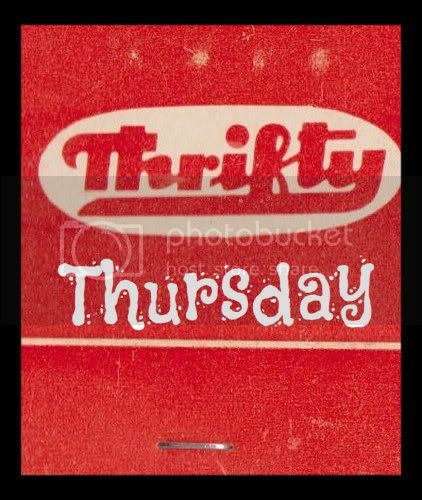 This blog post is part of the Thrifty families blog carnival over at Family Budgeting. I really agree with your choices - so much better splurge on a good winter coat than summer dresses. As for kids clothes, we quite often get them from friends when their own kids have grown out of them - which is great, considering how fast they all grow! Really like this :) I tend to save pennies and then splurge but having said that with a baby I can't face wearing anything nice when I know it is going to get covered in YUK. I would like a solution please - wipe clean designer? ...perhaps not! I miss wearing nice stuff! Thanks Ellen! For the same reason I no longer buy anything hand wash or dry clean only! What is the point?! There is no way I will ever hand wash anything . Wipe clean designer = cath kidston!